"The questionable manner in which this contract was approved during a crucial election year in DRC raises real concerns about the way the country's oil sector has been managed," said Peter Jones, team leader at the pressure group. A lawyer for the company told AFP that the claims made against CoMiCo were "unsubstantiated" and said it was "a responsible company and as such subscribes to best practice". "We are confident that, following its ratification by presidential decree, the (agreement) is valid," the lawyer said. "Without going into the legal intricacies which support our position... it would be incongruous for a state to ratify an act which would be illegal under its own laws." Global Witness said the agreement allows CoMiCo to explore DR Congo's vast untapped oil reserves in three land blocks, including one that skirts or impinges upon hundreds of kilometres of protected park. 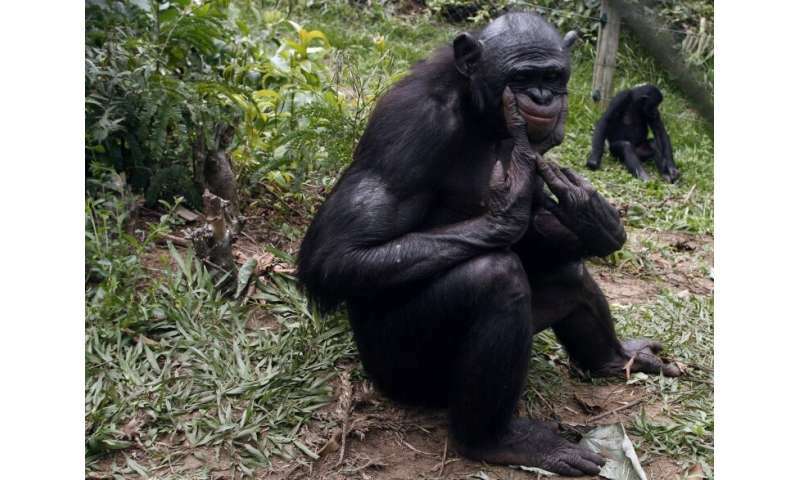 Salonga—a UNESCO World Heritage Site—is Africa's largest contiguous area of protected rainforest and home to 40 percent of Earth's bonobo apes, among several other endangered species. "Any oil exploration in the park or its surroundings opens up the risk of massive environmental devastation in a fragile ecosystem, the preservation of which is vital to the survival of local communities and the prevention of climate breakdown," he told AFP. CoMiCo's lawyer reiterated the company's "clear commitment to not drilling in the national park."